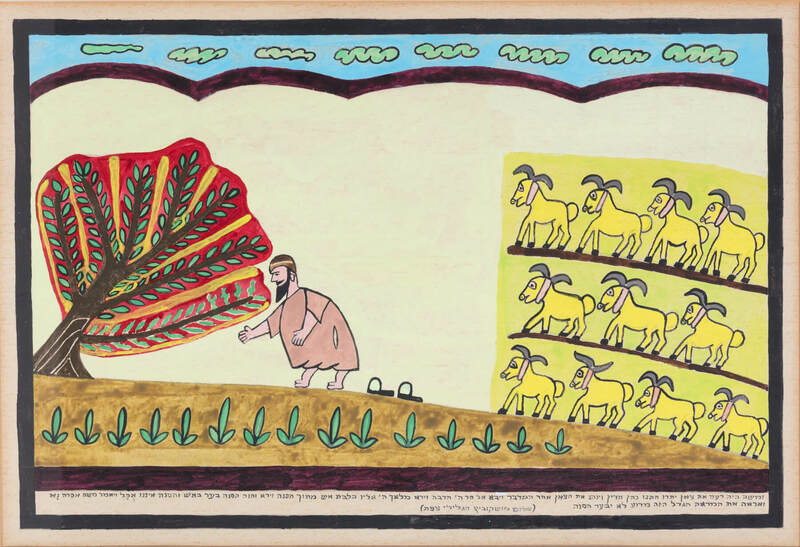 (Israel, 1887 -1980) Gouache on paper. Depicting Moses in front of the burning bush. Signed. 12.5” x 18.7”.